The grant application is open to municipalities, nonprofits, materials recovery facilities and other qualifying organizations through July 12, 2019. Dow will equip grant recipients with a framework to aid the recipients in developing successful Hefty® EnergyBag® programs in their communities, and will facilitate planning, implementation and metrics tracking. Dow also consults with recipients as they manage their local programs and solicit involvement from key community stakeholders. Dow and Keep America Beautiful will host a one-hour webinar on Wednesday, May 9 to review the application process and describe how the grant applications will be evaluated. To apply for the Hefty® EnergyBag® grant, visit www.kab.org/hefty-energy-bag-program. 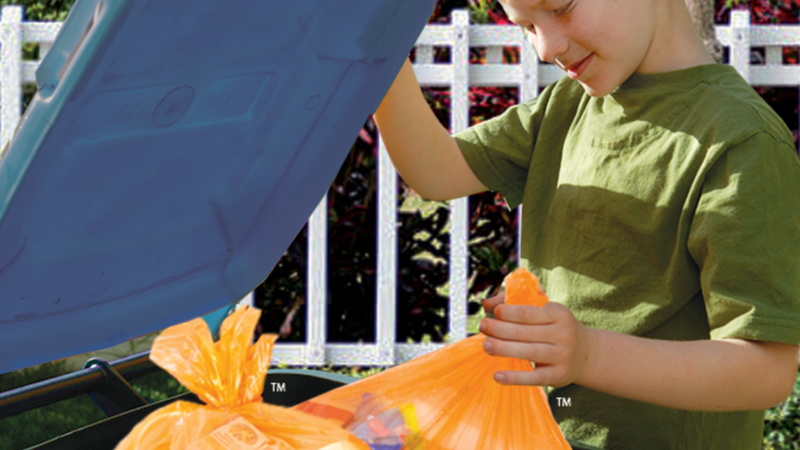 To learn more about the Hefty® EnergyBag® program, visit www.heftyenergybag.com. Dow’s long-standing relationship with Keep America Beautiful is built on more than 10 years of collaboration through the Great American Cleanup®. This annual event is the largest community improvement program in the U.S., which provides an opportunity to engage employees, customers and communities for environmental impact. Keep America Beautiful, the nation’s leading community improvement nonprofit organization, inspires and educates people to take action every day to improve and beautify their community environment. Established in 1953, Keep America Beautiful strives to End Littering, Improve Recycling and Beautify America’s Communities. We believe everyone has a right to live in a clean, green and beautiful community, and shares a responsibility to contribute to that vision. The organization is driven by the work and passion of more than 600 Keep America Beautiful affiliates, millions of volunteers, and the collaborative support of corporate partners, social and civic service organizations, academia, municipalities, elected officials, and individuals. Join us on Facebook, Instagram, Twitter and YouTube. Donate and take action at kab.org.